Choosing the perfect Karate Katy TX gym can be a tough decision to make if you don’t know where to start. 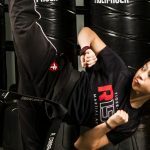 Are you beginning to worry about your martial arts capacity and you’re trying to find something that will help you develop into the person you’ve always wanted to be? If you can’t seem to locate the perfect place in your local area, Tiger-Rock may be the perfect dojo for you and your family. Read more to find out how we can help you achieve your dreams, reach your goals, and transformation your mind, body, and soul. Did you know that martial arts can help you greatly improve your focus? In today’s society, it is easy for us to have short attention spans and lose concentration throughout the day. If you’re having problems at work and school and you’re noticing that you’re not maintaining your focus, let us know. We can provide you with an introductory course package that will help us evaluate your performance and see where you’re at. Once that happens, we’ll be able to help you find the right classes and programs that will assist you in your transformation. The last thing we want to do is waste time, and we’re here to help when you don’t know what to do. In addition to working with adults, our professionals also have many classes that are geared specifically towards children. Are you beginning to consider finding a local karate studio for your kids? Maybe they’re growing increasingly interested in martial arts but you just don’t know how to handle this brand new, developing interest. If you’re beginning to worry, lean on the professionals here at Tiger-Rock and you’ll have a solution in no time. We do Karate Katy TX classes a little bit differently here at Tiger-Rock Martial Arts. When you come to our dojo, you will be able to experience a martial arts franchise like no other. Our brand has developed over a hundred locations nationwide ever since our inception back in 1983. If you’re trying to find a training ground that will give you stability and consistency, this is the place for you. Our instructors are certified and experienced in physical and mental transformations. Let us know what your goals are so we can start putting together a plan. While striking, kicking, and physical exercise is a big part of our services, it is much more than that. We believe that martial arts are something that will require you to have a great mental toughness and a constant desire for more knowledge and skill. Are you prone to mental lapses at work or school, and they’re beginning to frustrate you and bear negative results? If you’d like to stop this problem before it gets out of hand, we highly suggest reaching out to us. Our instructors are here to guide you through your specific path. It can be difficult staying mentally tough and constantly engaged nowadays. Our attention spans are so short because of the effect technology has on the brain, and it can be frustrating making a mistake. When it’s mental, you may at first feel like you’re never going to be able to overcome this and it’s simply a part of who you are. But the truth is, the brain is simply just another muscle. Like your biceps or triceps, if you constantly train it and push it past its limits, you’ll get more out of it. There are no shortcuts to the many plans and programs we have here at Tiger-Rock. While we want to make sure our students have fun and stay engaged, we know when it’s time to get serious, too. If you’re trying to get the most out of this program, it is imperative you take whatever current ranking you have seriously. Only then will you will be able to share what you learned, demonstrate your skills and growth, and move to the next ranking. Our studio provides customers and clients with competitive rates that are sure to match up with anybody in the city or state. We understand that nobody wants to see all of their resources go into affording a karate class. Because of this, we start our customers off with introductory packages that give them a shot at trying out Tiger-Rock. We can work with you to evaluate your performance after three sessions and find a program that fits where you’re at. Everybody wants to make sure they’re making the right decision before they commit to something; it’s just human nature. If you want this opportunity instead of hidden fees and long contracts, call our dojo. Are you someone who really enjoys competition, but you don’t know where you can experience this on a regular basis? You might be trying to test your skills against similarly experienced students who have been a part of this for a while. If this greatly interests you, we think you’ll find what you need here at TRMA. We hold yearly nationwide tournaments that give our students a chance to go up against each other. If you have an interest in sparring competitively, reach out to our instructors. We can give you more information on this so you can begin sharpening your skills. Call Tiger-Rock Today For Additional Info! 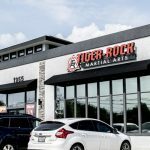 When you’re having problems choosing a Karate Katy TX gym, you can’t go wrong with Tiger-Rock. With years of experience and a team of certified instructors who are ready to help you, you’ll have the team you need to succeed. Contact us today to make sure you have the resources you’re looking for. 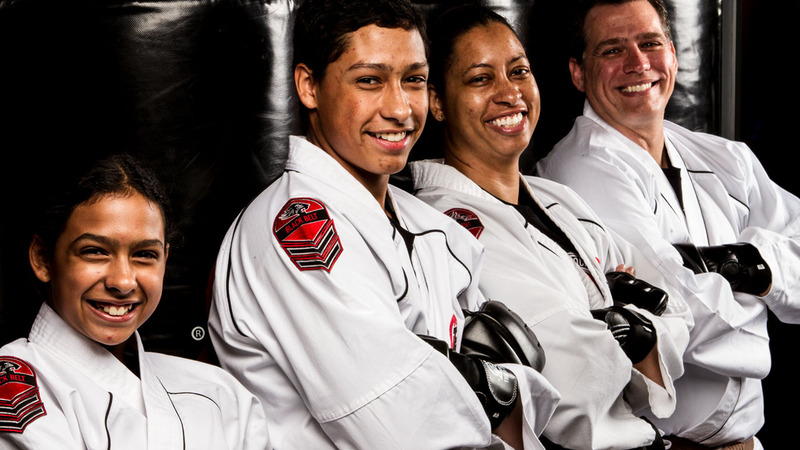 Our instructors are eager to help you begin your transformation into a master of the martial arts. Did you know that Cinco Ranch is an award-winning community? This is an area here in the city of Katy that has residential gems for affordable prices. If you’re looking for houses, we suggest you start here. Katy, Texas is located west of Houston. Though the Galveston Hurricane in 1990 took a toll on our city, we have strongly bounced back. The Katy Mills Mall and BP America headquarters are only two of the landmark places we are proud of.